3) the Federal government must provide tax credits to individuals with household incomes between 100 and 400 percent of the Federal poverty line. According to Chief Justice Roberts, who wrote the majority opinion: “Congress found that the guaranteed issue and community rating requirements would not work without the coverage requirement…And the coverage requirement would not work without the tax credits. The reason is, without the tax credits, the cost of buying insurance would exceed eight percent of income for a large number of individuals, which would exempt them from the coverage requirement.” Chief Justice Roberts noted that absent mandatory insurance coverage, individuals wait until they become sick to buy insurance. As a result, insurers must raise premiums and many leave the market. This is known as the “death spiral,” which may be avoided only by legislating all the pieces of the healthcare puzzle. In essence, the majority of justices said that Congress could not have intended to withhold health insurance tax credits from States with Exchanges created by the Federal government. First, the phrase at issue is ambiguous, in part because other sections of the ACA assume that tax credits will be available on both State and Federal Exchanges. For example, section 18031(i)(3)(B) requires all Exchanges to distribute “fair and impartial information concerning…the availability of premium tax credits…” Second, a reading of the ACA as a whole militates against the reading urged by the petitioners because “it would destabilize the individual insurance market in any State with a Federal Exchange, and likely create the very ‘death spirals’ that Congress designed the Act to avoid.” In 2014, approximately 87 percent of people who bought insurance on a Federal Exchange did so with health insurance tax credits, and virtually all would become exempt from mandatory insurance coverage without the tax credits, according to a government report. Gloria Frank, Esq. is a health law attorney with the firm, Liles Parker, Attorneys & Counselors at Law. Liles Parker has offices in Washington DC, Houston TX, McAllen TX and Baton Rouge LA. Our attorneys represent health care professionals around the country in connection with government audits of Medicaid and Medicare claims, licensure matters and transactional projects. Need assistance? For a free consultation, please call: 1 (800) 475-1906. The Affordable Care Act Amended the Definition of Two Key Terms Under the False Claims Act. Under the Affordable Care Act, the definition of the term “public disclosure” (as utilized under the False Claims Act) was amended to abolish the public disclosure bar. The definition of “public disclosure” was further revised to permit a qui tam relator to bring a whistleblower action that is based on allegations that have been previously disclosed in government or private litigation (as long as the relator meets the statutes “original source” requirements. Prior to the passage of the Affordable Care Act, if a qui tam relator sought to bring an action based on public disclosures, the relator was required to qualify as an “original source” and have “direct and independent knowledge” of the facts alleged to constitute violations of the False Claims Act and have provided that information to the government prior to filing suit. Under the Affordable Care Act, a qui tam relator is now only required to have “knowledge that is independent of and materially adds to the publicly disclosed allegations . . .” As you can imagine, this change makes it significantly easier for an individual to meet the False Claims Act’s original source requirements. The Affordable Care Act Defines Improperly Held Overpayments as an “Obligation,” Within the Meaning of the False Claims Act. Under the Affordable Care Act, a health care provider’s liability under the False Claims Act was significantly broadened to cover identified “overpayments” that were improperly retained for more than 60 days. More specifically, 42 U.S.C. 1320a-7k(d) was revised to define “overpayments” as “Medicare funds received or retained to which a person is not entitled, after applicable reconciliation.” Overpayments must be reported and returned to the government (typically a Medicare Administrative Contractor) within 60 days of identification. Should a health care provider fail to return an overpayment within the statutorily required period, the overpayment then qualifies as an “obligation,” thereby subjecting the provider to liability under the False Claims Act. The Affordable Care Act Makes it Clear that a Violation of the Federal Anti-Kickback Statute May Also Constitute a Violation of the False Claims Act. Collectively, the changes set out above make it much easier for both a relator and the government to bring a False Claims Act case against a health care provider or supplier. Notably, the number of new health care qui tam cases filed in 2010 (the Affordable Care Act was signed into law on March 23, 2010) rose to 385, a new high at that point in time. In FY 2013, the number of health care qui tam cases reached an all-time of 501 cases. While there was a slight drop (to 469 cases) in the number of health care qui tam cases filed in FY 2014, all indications are that FY 2015 may again challenge the record of cases filed in FY 2013. One of the most unique elements of the False Claims Act is that it authorizes private parties having direct knowledge of fraudulent conduct to bring a civil suit (on behalf of the government) against an individual or entity that has violated the statute. These civil suits are known as “qui tam” actions, and the private parties who initiate such actions are called “relators”. Qualified relators may share in any monies recovered as a result of their qui tam action. The government can quietly investigate the allegations without the defendant knowing that their company is under investigation. The mere existence of a government investigation can be devastating on the public’s view of a company. Moreover, if a company is publicly-traded, the publicity surrounding a government investigation can severely affect the price of a company’s stock—despite the fact that the allegations at issue have not been investigated or proven at this point in the process. After concluding its evaluation, the government may elect to proceed with the complaint and intervene in the case or it may decline to intervene. If the government decides to intervene in the action, then the relator has the right to remain a party to the action. If the government decides not to intervene in the case, the qui tam relator may elect to proceed on his or her own against the defendant. Notably, the government always retains the ability to intervene in the case at a later time. From a practical standpoint, if the government decides not to intervene in a case, in all likelihood the relator will seek to dismiss the suit. Unlike the government, a relator’s ability to investigate a False Claims Act case is quite limited, both in terms of resources and in terms of investigative tools. As a result, the government’s decision to decline to intervene severely impacts a relator’s ability to move forward with the case. Effectively, Justice Holmes’ comment serves as a continuing caution for individuals and entities who participate in government programs. Unfortunately, it isn’t always that easy for a health care provider or supplier to determine whether an overpayment exists, especially in complex cases where a patient has secondary insurance and/or the number of claims processed (as charges, credits, and corrections) may be quite large. Additionally, due to the complexity of Medicare coverage and payment rules, two reasonable individuals may disagree as to whether an overpayment is present. Despite the fact that two reasonable minds may disagree on whether an overpayment exists, the fact remains that a health care provider or supplier is ultimately responsible for repaying any overpayments due to the government. In order to avoid potential False Claims Act liability, it is imperative that you fully research any outstanding issues and determine the scope of any overpayment to be reported and repaid to the government. An effective compliance plan can assist in the identification and proper handling of overpayments, thereby reducing the provider’s risk of committing a violation of the False Claims Act. Health care providers and suppliers should review their current Compliance Plan to better ensure that internal audit and review mechanisms are in place so that any overpayments can be readily identified and repaid to the government within the 60-day deadline. The decision of whether to disclose and return an overpayment, whether to a MAC, the Department of Health and Human Services – Office of inspector General (HHS-OIG), or to the Department of Justice (DOJ), may differ depending on the facts. Depending on the size or complexity of an overpayment, a health care provider may need to contact legal counsel for advice on how to best handle a specific overpayment. Due to the 60-day deadline, if legal counsel is to be involved, they should be contacted as soon as possible. Robert W. Liles serves as Managing Partner at Liles Parker. Robert has worked in health care administration since 1984 and previously served as “National Health Care Fraud Coordinator” for Executive Office of U.S. Attorneys, Department of Justice. Robert has extensive experience working on False Claims Act matters and cases. For a free consultation on your case, you may call Robert at: 1 (800) 475-1906. Relators can receive between 15% and 25% of any recovery in a qui tam action where the government has intervened in the case. In a non-intervened case, a relator may recover up to 30%. Consequently, there is a tremendous financial incentive to file and pursue these types of actions. The relator must also serve a “disclosure statement” on DOJ (normally, it is provided to the U.S. Attorney’s Office) which sets out the evidence that the relator has in support of the allegations set out in his/her Complaint. This statement is not filed with the Complaint. Rock I., Ark. & La. R.R. v. United States. 254 U.S. 141. 143 (1920). As Supreme Court Justice Felix Frankfurter commented, this statement “does not reflect a callous outlook. It merely expresses the duty of all courts to observe the conditions defined by Congress for charging the public treasury ” Federal Crop Ins. Corp. v. Merrill, 332 U.S. 380, 385 (1947). (June 28, 2012): In a landmark case for the healthcare industry, the Supreme Court ruled today that the “individual mandate” provisions of the Affordable Care Act (ACA), colloquially known as “Obamacare,” were indeed constitutional. As such, ACA was largely upheld by the Court. This decision further expands Congress’ legislative powers and maintains some of the significant changes to healthcare under ACA, such as rules requiring insurers to cover young adults until they are 26, a penalty tax for those who don’t buy insurance, and restrictions against discrimination of patients with pre-existing conditions. More information to come once the opinion is released in its entirety. In a surprising twist, the majority opinion from the Supreme Court did not uphold ACA on the grounds that Congress could use its power to regulate commerce between the states to require everyone to buy health insurance. Many experts and pundits believed that the case would revolve almost exclusively on Congress’ legislative power under the Commerce Clause, which allows Congress to regulate interstate (and now most intrastate) trade. Instead, five Justices, in an opinion written by Chief Justice John Roberts, agreed that the penalty that someone must pay if he or she refuses to buy insurance is a form of a tax that Congress can impose under its taxing powers. Nevertheless, there were some limitations within the Court’s opinion. In particular, ACA also included a provision that required the States to comply with various new eligibility requirements for Medicaid or risk losing their federal funding. On this issue, the Court held that the provision would be constitutional so long as States only lost new funding if they did not comply with the new requirements, rather than losing all of their funding. The bigger questions, though, especially concerning the authority of Congress, were answered by the Court in favor of an expansion of powers. This decision does not just signify that Congress may wield increasing authority to tax, but also recognizes the fact that the healthcare industry is in the midst of a crisis, and that any strategies which may decrease healthcare costs should be encouraged. Had the law been overturned, Accountable Care Organizations (ACOs), the government’s newest HMO-like program, would cease to exist, and the Health Insurance Exchanges currently being set up to provide larger public pools (thereby reducing insurance risk) would be closed. As a result of this decision, the likely billions of dollars that have gone into revamping many healthcare programs will not be wasted. Liles Parker is a full service health law and business transactions firm, representing clients throughout the country. Attorneys at Liles Parker assist clients in a variety of matters, including buying, selling, and financing businesses, conducting internal reviews and compliance audits, representing providers in Medicare and Medicaid administrative appeals, and counseling providers on healthcare fraud and abuse concerns. For a complimentary consultation, call us today at: 1 (800) 475-1906. (April 2, 2012): The fate of universal health care for all Americans currently hangs by a thread — and several Judges on America’s highest Court appear anxious to cut that thread. As you may know, the Supreme Court of the United States is currently hearing arguments about the constitutionality of the health care reform law enacted two years ago, the Patient Protection and Affordable Care Act (Affordable Care Act). This case, United States Dept. of Health and Human Servcs. v. Florida, specifically challenges aspects of 26 U.S.C. § 5000A, otherwise known as the individual mandate provisions. Essentially, Congress has mandated in health care reform that every U.S. citizen who files a tax return secure a minimum amount of health insurance coverage or pay a penalty collected by the Internal Revenue Service (IRS). Congress has the power to regulate interstate commerce under the Constitution, and even has the power to regulate intrastate commerce after expansive decisions in Wickard v. Fillburn and Gonzales v. Reich. However, many critics think that the health care reform law now regulates inactivity, and argue that such regulation goes too far. Whatever your personal views on the matter, this case is shaping up to be one of the most important in the history of the country, both politically and from the perspective of the health care industry. The Supreme Court set aside three days (March 26, 27 and 28, 2012) to hear argument regarding the various issues in the health care reform case. The first day was entirely devoted to a complex and obscure question, but one that would entirely block the Court from hearing the rest of the case if decided in a certain way. Specifically, the Court heard argument about the Anti-Injunction Act of 1867, which requires that an individual challenging the propriety of a tax pay that tax first. The original idea of this law was to safeguard the government’s revenue stream – if everyone simultaneously filed suit to challenge paying a tax, the Federal government would quickly run out of money. This Act requires that individuals first pay, and then challenge, the tax. In the situation currently before the Court, the determination of whether this is a tax or other penalty, and whether the Anti-Injunction Act applies, is paramount. II. 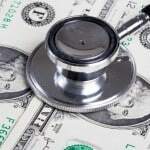 Health Care Reform — Is it All or Nothing? It is amazing to think that a case involving the constitutionality of a major healthcare reform currently hinges on a tax law from the 1800’s, but that is how Congress set up the relevant penalty provisions of the Affordable Care Act. But beyond the constitutionality of the individual mandate, the outcome of this case could have a number of important effects. First and foremost, all of the work and funding that has gone into new health care programs as a result of the Affordable Care Act would likely be for naught. This is because the individual mandate provision is most likely not severable from the rest of the law. While a complex concept in practice, severability basically refers to whether one section of a law can be removed from the rest of the law or whether the entire thing must be declared invalid. While laws passed by Congress usually have a severability clause, Congress did not, for whatever reason, put such a clause in the Affordable Care Act. This means that accountable care organizations, health insurance exchanges, mandatory compliance plans, qui tam cases based on the Anti-Kickback Statute, and many other government healthcare programs would be affected. There would be a significant amount of confusion in the healthcare community. While individual providers and small practices may not be greatly impacted, payors, clearinghouses, larger hospitals and group practices, and managed care organizations may need to consider what changes they have made in the last two years, and make sure that such changes are consistent with applicable law, whether that law is the Affordable Care Act or whatever else came before it. Overall, this case presents an interesting political and legal dynamic, one that is highly charged with political rhetoric, deeply-entrenched opposing views, and above all else — confusion. If you are like most Americans (myself included), you tend to consider these situations from a personal perspective. As a father with a child who suffers from a chronic, critical illness (for which there is no cure or treatment), there isn’t a day that goes by that I don’t worry what my son will do when he is no longer eligible for coverage under our health insurance policy. The passage of the Affordable Care Act is truly a Godsend for my son. Therefore, despite its many flaws, I hope that our government officials can work through their disagreements and allow this legislation to move forward. Liles Parker is a full-service health law firm focusing on regulatory compliance and provider representation. Our attorneys are highly skilled in designing and implementing effective Compliance Plans for physician practices, clinics, home health agencies, DME suppliers and other health care providers. Moreover, our attorneys are experienced in handling an array of complex health law matters, including Medicare overpayment appeals, PRRB appeals, negotiations with DOJ, OIG and state MFCUs, along with a full range of health care transactional projects. For more information on the Supreme Court case or to discuss your own matter, call us today. Robert W. Liles, Esq, Managing Partner at the firm, can be reached at: 1 (800) 475-1906. Please call him today for a free consultation. (January 26, 2011): Medicare payment suspension action can prove disastrous for your practice or home health agency. How did we get to this point? The recent debate over healthcare in this country has drawn attention to healthcare costs as well as the relationship between healthcare providers and the Federal government. With healthcare costs steadily on the rise, the government has been searching for ways to contain costs in Federal and State healthcare programs. These cost control efforts have resulted in a substantial focus on reducing healthcare fraud, which the federal government estimates could account for up to 10% of the country’s annual healthcare expenditures (or approximately $226 billion per year). While the government has always possessed the authority to sanction providers for healthcare fraud and related activities, the newly-enacted Health Care Reform legislation (collectively referred to as the “Affordable Care Act” (ACA)) dramatically expands these regulatory powers. One of the most potent anti-fraud tools available to the government- specifically the Center for Medicare and Medicaid Services (CMS)- is the suspension of payments to providers. This article will provide a brief overview of CMS’s Medicare suspension authority and the requisite procedures, discuss the new relevant provisions of the ACA, and then conclude with some advice for providers seeking to avoid suspension actions. Payments that have been made (or are scheduled to be made) may be incorrect. (42 C.F.R. §405.371(a)(1). A statement that the provider may submit a rebuttal within 15 days of the Medicare suspension letter. Information on where the provider is to mail the rebuttal. (See generally, CMS, MPIM § 3.9.2.2.2). A. CMS’ Role in Approving a Medicare Suspension Action. Once a Medicare suspension letter has been drafted, CMS will review it and determine whether the provider should be notified before or after the effective date of the Medicare payment suspension. If a provider is targeted for Medicare payment suspension because of fraud, deliberate misrepresentation, or harm to Medicare trust funds, then the provider will be notified of the Medicare payment suspension on or after the effective date. Health care providers who are suspended for all other reasons are notified at least 15 days prior to the suspension taking effect. Notably, the OIG found that only three of the providers suspended during this period were given advance notice. In other words, it appears that all but three providers were suspended with no advance notice, and were likely suspected of fraud or willful misrepresentation. B. Opportunity to Appeal a Medicare Payment Suspension Action. Notably, there is not an administrative appeals mechanism available for providers to challenge a suspension action. At most, a provider can submit a “rebuttal” letter to CMS detailing why the proposed Medicare payment suspension should not take effect or should be lifted. A rebuttal letter must be submitted within 15 days of the suspension notice. CMS contractors will then review the provider’s rebuttal, draft a response, and submit the proposed response (along with the provider’s rebuttal) to CMS for approval. From a practical standpoint, it has been our experience that CMS rarely changes its position and cancels the planned Medicare suspension action. C. Length of Medicare Payment Suspensions. The length of a Medicare suspension of payments period is usually 180 days, but this can be extended under certain circumstances. D. Having a Medicare Payment Suspension Action Lifted. During the suspension period, CMS contractors will request that the provider submit medical records relevant to any suspect claims being examined by CMS. A Medicare contractor (typically a ZPIC or PSC) will then analyze these medical records in order to determine the amount of any improper payments made to the provider, including overpayments. Once the overpayment has been calculated, a provider’s Medicare Administrative Contractor will issue a demand letter to the provider requesting a refund of the overpayment amount. In some instances, once CMS has ascertained the nature and extent of any overpayment, the suspension action will be lifted. Health care providers may continue to submit claims during a suspension period, but payment action for these claims will not be taken until the ZPIC / PSC can determine the nature and amount of any overpayment that may be owed. Any claims found to qualify for coverage and payment are usually used to offset the amount of the overpayment determined by the ZPIC / PSC. Excess funds are then distributed to the provider. On November 1, 2010, the OIG released a report for CMS entitled The Use of Payment Suspensions to Prevent Inappropriate Medicare Payments. The goal of this report was to evaluate CMS’ use of suspension actions taken in 2007 and 2008 and assess CMS’ procedures for implementing payment suspension actions. OIG analyzed 253 payment suspensions made during these two years. A. General Overview of Medicare Payment Suspension Actions Taken in 2007 and 2008. B. Reasons for Medicare Payment Suspension Actions. 99% of suspension notices were sent to the provider on or after the effective suspension date, indicating that fraud was a consideration in the suspension action. 74% of suspended providers supplied information suggesting questionable billing patterns, such as spikes in multiple claims submitted for the same beneficiary or extensive services provided within a very short time frame. 63% of suspensions involved complaints or information from beneficiaries raising concerns about services they never received or that were medically unnecessary. C. CMS Guidance on Medicare Payment Suspensions Has Been Inconsistent. The model suspension notice contained in the PIM has not been updated since 2000. Accordingly, the notice provides an incorrect summary of the suspension process. The OIG report concluded that, based on the data reviewed, Medicare payment suspensions were used almost exclusively as a tool to fight fraud in 2007 and 2008. The report did not offer any recommendations, but it did note that the PPACA dramatically expanded CMS’s authority to suspend Medicare payments. The Patient Protection and Affordable Care Act, as amended by the Health Care and Education Reconciliation Act of 2010 (collectively referred to as the Affordable Care Act or “ACA”), was signed into law on March 23, 2010. Among its provision, the ACA further expanded CMS’ ability to take payment suspension actions. In addition to the three suspension criteria discussed above, ACA now permitted CMS to suspend payments based on credible allegations of fraud unless there is good cause not to suspend such payments. The seemingly vague language and potentially broad scope of this rule has many providers concerned about the threat of payment suspensions. Aside from its broad sweep and built-in exception, this new credible allegation of fraud rule is distinct from the other bases for payment suspensions in three critical respects. To begin with, CMS is required to consult with OIG in determining whether a credible allegation of fraud exists. This collaboration is not required before CMS suspends payment on any other basis, and OIG has no formal role in imposing such suspensions. Additionally, as discussed above, the other suspension criteria have 180-day time limits (which, under certain circumstances, can be extended), while the credible allegation of fraud rule does not have any such time restrictions. Suspensions could remain effective indefinitely as OIG conducts its investigation into the fraud allegations. Finally, a payment suspension for a credible allegation of fraud may be lifted upon the resolution of the fraud investigation, which occurs when “a legal action is terminated by settlement, judgment, dismissal, or [dropped for lack of evidence].” Conversely, payment suspensions for other reasons are terminated upon refund of any assessed overpayment to CMS. Medicare payment suspensions can dramatically impact and disrupt a provider’s healthcare practice. Based on the report published by OIG and in consideration of the new regulations promulgated by HHS, below are some recommendations for avoiding suspension actions. A. Engage Experienced Legal Counsel. In light of both the seriousness and complexity presented, it is strongly recommended that providers facing a payment suspension action immediately engage experienced counsel. As you will recall, almost all of the suspension actions pursued by Medicare contractors, OIG and DOJ involve allegations of fraud or deliberate misrepresentation. Therefore, care should be taken to ensure that the rights of the health care provider and its staff are properly protected. The OIG report noted that only 16% of providers suspended between 2007 and 2008 submitted a rebuttal to the suspension notification. While a rebuttal does not guarantee that CMS will not proceed with the suspension, it does give the provider an opportunity to explain any of the potential mistakes or errors that drew the attention of CMS. Additionally, it is critical to keep in mind that suspension actions are not appealable; once a suspension is imposed, there is no recourse for the provider. A rebuttal is a provider’s only opportunity to be heard prior to imposition of the suspension. C. Timely Provide Medical Records When Requested by CMS. As discussed above, once a suspension has been imposed CMS will request medical records from the provider in order to evaluate the related claims for any potential overpayments. In the OIG report, the authors noted that suspensions were often extended beyond the initial 180-day time period for a variety of reasons, one of which was the provider’s failure to timely submit medical records. It is possible that providers who comply with CMS medical records requests as soon as possible will see their cases resolved more quickly and their suspensions lifted without any extension. Additionally, providers should thoroughly organize medical records for complex cases so that CMS contractors can review the records more efficiently and therefore resolve the suspension action. D. Credible Allegations of Fraud Can Originate from Practically Anywhere. Robert W. Liles and other Liles Parker attorneys have extensive experience representing health care providers in connection with a wide variety of administrative, civil and criminal health care fraud enforcement matters — including Medicare suspension of payment actions. Should you have questions regarding this article, please give us a call. Initial consultations are free. Robert can be reached at 1 (800) 475-1906. Federal Bureau of Investigation, Financial Crimes Report to the Public 2007, available at http://www.fbi.gov/stats-services/publications/fcs_report2007/. For example, if a government official is unable to complete an examination of information submitted by a suspended provider or the Department of Justice is investigating potential criminal charges or civil actions, then the suspension may be extended for 180 days. If OIG is considering administrative action against the provider- such as exclusion from participation in Medicare or the assessment of civil monetary penalties- then the suspension may be extended indefinitely. Center for Medicare and Medicaid Services, The Use of Payment Suspensions to Prevent Inappropriate Medicare Payments, Report No. OEI-01-09-00180 (Nov. 2010). The report states that 55% of suspended providers never provided CMS contractors with any medical records at all. ACA Reporting and Repayment Mandates are a Real Minefield for Medicare Providers. (July 9, 2010): Does the failure to promptly return a Medicare overpayment really warrant liability under the False Claims Act (FCA)? Congress thinks so. The Patient Protection and Affordable Care Act (also known as the “Affordable Care Act” or “ACA”) creates an obligation under the FCA whereby a Medicare provider who fails to timely report and refund and overpayment may be subject to substantial penalties and damages. Section 6402 of the ACA requires Medicare providers, including physicians and partial hospitalization providers, among others, to a) return and report any overpayment, and b) explain, in writing, the reason for the overpayment. This law creates a minefield for physicians and other Medicare providers. First, providers have only 60 days to comply with the reporting and refund requirement from the date on which the overpayment was identified or, if applicable, the date any corresponding cost report is due, whichever is later. Of course, the ACA does not actually explain what it means to “identify” an overpayment. Nonetheless, the ACA reporting and repayment requirement an “obligation” under the FCA. Pursuant to the Fraud Enforcement and Recovery Act of 2009 (FERA) amendments to the FCA, an individual or entity may be liable if he or it “knowingly conceals or knowingly and improperly avoids or decreases an obligation to pay or transmit money or property to the Government.” Thus, providers who fail to meet their 60 day “obligation” may be subject to monetary penalties of up to $11,000 per claim, and treble damages. Several Liles Parker attorneys have worked former Federal and / or State prosecutors. Our attorneys have extensive experience working on False Claims Act cases. Should you have any questions, hesitate to contact us. For a complementary consultation, you may call Robert W. Liles or one of our other attorneys at: 1 (800) 475-1906. Topic: The implications and fallout from the Forest Park Medical Center (Dallas) convictions and what this means for the future of physician arrangements and contracts. We Primarily Represent Providers in Audits, Investigations and ADR’s from entities such as Medicare, Medicaid, OIG, State Licensing Boards, Private Payors, OCR. We also counsel on legal issues that a typical Health Provider Practice encounters such as Stark, Contracts, Employment, Acquisitions, Compliance Programs, False Claims, Anti-Kickback, Staff Training. Please call 202-298-8750 to set up a time for a free consultation. CMS has Ended its Moratorium on New Home Health Agencies in Texas, Illinois, Michigan and Florida. Unfortunately, the Lifting of the Moratorium Isn’t Necessarily a Good Thing for Existing Home Health Agencies.